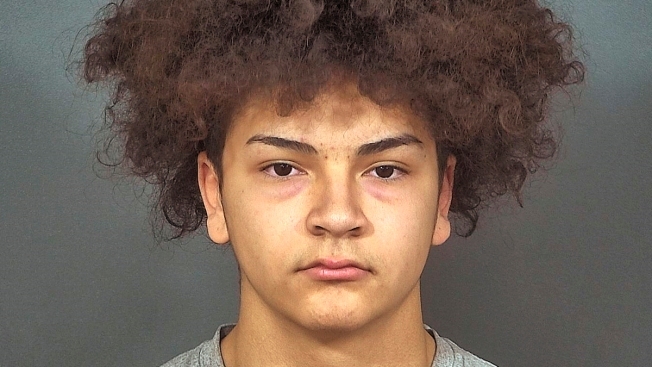 This undated photo provided by the St. Joseph County Jail in South Bend, Ind., shows Aaron Trejo.Trejo, an Indiana high school football player told investigators that he killed a 17-year-old schoolmate because he was angry that she waited so long to tell him she was pregnant with his child, that it was too late to get an abortion, authorities said Monday Dec. 10, 2018. Trejo, 16, was charged as an adult with murder in the Sunday killing of Breana Rouhselang and the fetus. He was arrested Sunday, and scheduled to be arraigned Tuesday. An Indiana high school football player told investigators that he killed a 17-year-old schoolmate because he was angry that she waited so long to tell him she was pregnant with his child that it was too late to get an abortion, authorities said Monday. Trejo reportedly told police that neither he nor Rouseland wanted the baby. He told investigators he was angry that she told him about the pregnancy after it was too late to get an abortion so, "I took action. I took her life," according to court documents. "They've known each other long before they came together — she as a manager and he as a football player — at Mishawaka High School," he said.